The Paradise Theater was as important to Detroit as the Apollo Theatre was to Harlem. 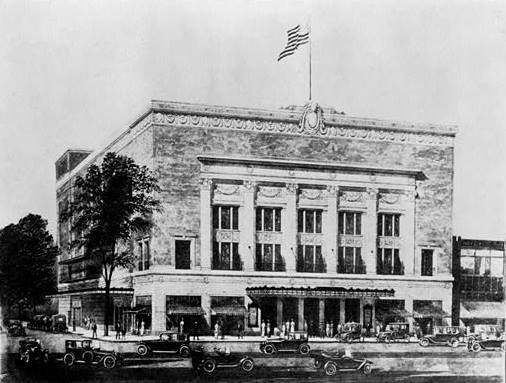 Opened Christmas Eve 1941, when new owners Ben and Lou Cohen reopened Orchestra Hall as the Paradise Theatre, the place that Detroit audiences once went to hear Prokofiev, Gershwin and Horowitz began featuring contemporary talent such as Duke Ellington, Louis Armstrong, Lena Horne and Pearl Bailey. The theater’s name was taken from Paradise Valley, the area just east of Woodward Avenue, home to a large percentage of Detroit’s African-American community and to the principal black entertainment district at St. Antoine and Adams streets. The Paradise became a celebrated club, offering the best in jazz, bebop and blues.